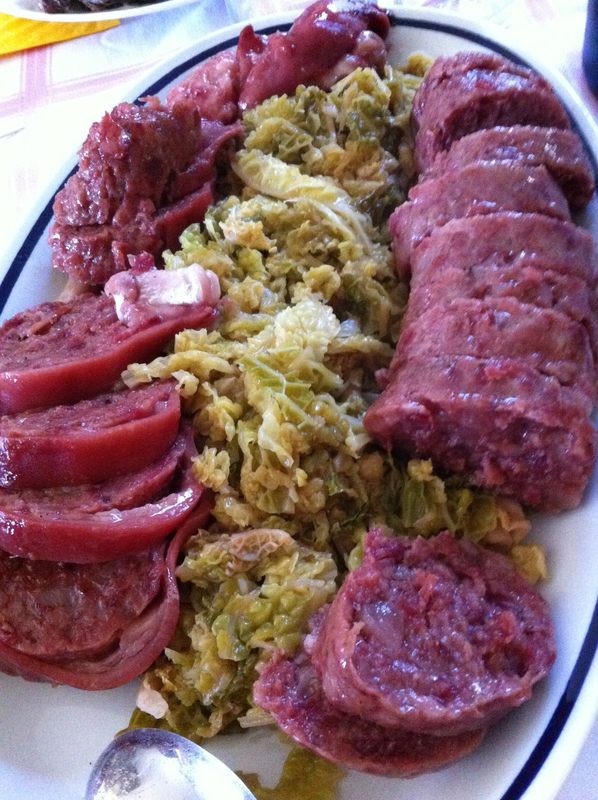 zampone and cotechino, served on a bed of verzo (cabbage) with the traditional lentili (lentils) served on the side this time. Zampone is a pig’s leg, chopped off, boned, and stuffed with a ground mixture of pork, pork rind, and spices. The skin of the leg takes on a gelatinous consistency, which can be avoided by eating cotechino instead, which is a similar thing but only the filling without the leg itself.